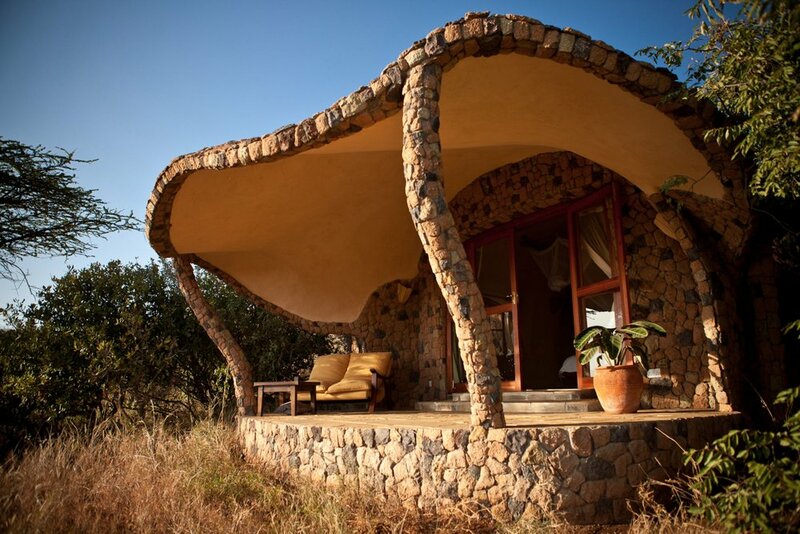 If you're interested in a trip to Kenya, you've come to the right place. Below you'll find all the information you need about how to pack for your adventure, what to prepare for logistically with your flights and travel documents, and the nitty-gritty details like whether or not you can pet the lions. Take a look and let us know if you have any additional questions! We're always happy to chat and can be reached directly at 1.888.870.0903. Temperatures in Africa vary widely based on the season. In general, bring warm clothing for mornings and evenings, and water resistant layers for when it rains. Check the forecast before you fly for the most accurate information. Everything needs to fit in one carry-on and a medium sized, soft-sided checked duffel bag. Together they must not exceed 33 pounds, but the weight can be distributed however you like. Please be aware that in some instances flight restrictions will vary. For most up to date information, check with your airline beforehand. Q: DO I NEED TO BRING MY OWN BINOCULARS? Yes! Our recommendation is to get a pair from Maven or Leica with a magnification of 10 x 42. Even if you have an international plan, you may or may not get service in Kenya. Check with your provider before leaving the country. But hey, don’t you want to unplug anyway? Aside from tipping money, it’s a good idea to carry about $400 per person in U.S. bills. Make sure your bills are 2005 or newer to prevent fraud issues. Credit cards are accepted at the safari camps (Visa is the most commonly used). Just remember to alert your credit card companies that you will be traveling! Come with a few options so you’re not scrambling, and remember to store everything in a money belt or pouch for safe keeping. Kenya requires a visa upon entry. As of July 1, 2015, visa applications by visitors to Kenya must be made via eCitizen. Kenya visas are $50 per person for adults, and children 16 years old and under do not need a visa for travel in Kenya. Minors under 18 years traveling alone or with only one parent/legal guardians should be accompanied by a notarized letter, jointly signed by parents or legal guardians approving the minor to travel and a copy of both parent’s passports. Visit Magical Kenya for the most up to date visa information. Speed of approval: The applications are now being approved as fast as within 24 hours. Photos: The system now accepts photos taken and uploaded from a mobile phone. Payment: The system at present only accepts pre-paid debit cards. It does NOT accept credit cards. Kenya requires the Yellow Fever certificate from travelers coming from or traveling through countries that are in yellow fever endemic zones as per the list below. All new and existing yellow fever certificates are now valid for life. Please note that Kenya is also in the above list. While the Yellow Fever certificate is not required to enter Kenya, having been in Kenya, a visitor may be required to produce the certificate at the next destination (e.g. Tanzania). East Africa operates on 240-voltage electricity, so converters and adapters are necessary. Several safari properties provide charging stations, but it is advised that you bring your own adaptors. For Kenya you will need an adaptor for plug Type G.
KEEP IN MIND: Bright colors can startle animals and attract bugs. We love to travel with a pair of blue jeans for the evenings and khaki or olive light weight pants and shirts for safari drives. Ex Officio and Prana make some great options. Avoid black, denim, blues, purples, and other bright colors for daytime as these can attract tsetse flies. The wildlife can also be startled by white and red. These colors are fine after the sun goes down, but it’s best to stick with darker khaki colors, savannah browns, and olive greens during the day. Normal prescriptions and traveler’s meds for heartburn, indigestion, diarrhea, etc. All scheduled and charter flights are subject to unique weight limits that cannot be exceeded for safety reasons. Please ensure your checked duffel bag and carry-on meet these requirements for ease of travel. If this limit is exceeded, then travelers will be held responsible for the extra costs incurred to upgrade the flight, or may have to leave luggage behind. All flights are subcontracted to independent aviation companies who are entirely responsible, and therefore liable, for all aspects of the flying operation. One of the most commonly asked questions we receive is, “What can we take or donate to wildlife or community projects during our trip?” Here are a few of our favorite recommendations for making an impact in the lives of the both the locals and the wildlife in Africa. Tusk is a dynamic and pioneering organization with 25 years of experience initiating and funding conservation, community development, and environmental education programs across Africa. Since its formation in 1990, Tusk has invested more than $40 million into a wide range of projects across the continent. Tusk supports more than 50 field projects in 18 African countries that not only work to protect wildlife, but also help to alleviate poverty through sustainable development and education. As the ever-expanding human population and its demand for more land brings increasing conflict with wildlife, Tusk’s aim is to forge an inextricable link between the preservation of Africa’s natural heritage and the future of its land, culture, and people. With its partners in the field, Tusk has been at the forefront of promoting and funding community driven conservation programs. Learn more about how you can get involved at Tusk online. Make your travels meaningful and make a BIG impact in the communities you visit. Simply use a small amount of space in your luggage to pack supplies needed by community projects around the world. Visit Pack for a Purpose for a list of recommendations and participating camps. The things we overlook and take for granted in the modern world can make a world of difference for those in rural Africa, like electricity and light. That’s why we recommend bringing an inflatable solar-powered light or two with you. These little lights can change lives for children in areas where there is no power at night to complete their studies. One great example is LUCI light, although brands like Goal Zero also have options. Plus, it packs down and weighs next to nothing, an easy item to slip into your luggage.